There are 3 reviews of Join The Club : Ascot Moon. A very green, outdoors evoking scent from Xerjoff, in its truly marvelous Join the Club collection! Right from the start, Ascot Moon takes you to a sublime, earthy experience with that gorgeous moss and grass combo, which feels dry, slightly smoky, and fragrant in a very natural, convincing way. Xerjoff Ascot Moon is surely one of the finest and classiest pieces of the Join The Club Collection. This fragrance strikes us by soon since it smells somewhat classic and lacking that typical soapy-spicy/exotic balminess characterizing almost all the further juices of the same Collection. Well it seems that the Ascot Moon's inspiration is related to horse Clubs and to the hippodrome's atmosphere. The opening is by soon classically hesperidic/aromatic and almost minty. It seems to assist to another ordinary eau de cologne's evolution (possibly bergamot, coriander, verbena and stuffs like these swirl in the air and it seems to detect a touch of vetiver too). Anyway, over less than five minute the aroma evolves significantly, we start catching by soon a rising pungent woodsy resinous presence (fir resins), a tad of rootiness (probably patchouli and cedarwood) and finally a musky accord of leather and mossy galbanum. The leathery presence increases its strenght along the way and it seems to be "supported" by red berries, smoke (increasing along the way) and finally a touch of frankincense. The leather in here is not so far (just a tad more prominent) from the Micallef Royal Vintage's herbal leathery combination (stout, earthy, still herbal-aromatic, spicy-resinous) while the whole accord seems to derivate its main inspiration from another fragrance yet, the "insuperable" Geo F. Trumper Eucris which has been along the decades source of inspiration for a huge amount of following olfactory "experiments". The resinous presence is notable in its combination of rubbery, incensey and sticky woodsy "ingredients" despite along the way the aroma starts turning out more and more smoky, dry and restrained. On the complex I find this fragrance quite well appointed, it is classy, really virile and more than distinguished despite we can find in here originality or much less uniqueness. P.S: along the way, in its final trait of evolution, the "smoked rubber" vibe seems increased and this effect seems conjuring more than vaguely several Santa Maria Novella Nostalgia/Profumum Arso's nuances. Take the green, leathery and sharp opening of Bandit , then add the suede qualities of Cuir Ottoman and finally lay it on a barely used saddle. Fans of the above mentioned perfumes should definitely try it. The base gets softer and resins emerge. I'm not quite sure which but it feels like an accord as opposed to a single resin. It adds a three dimensional facet to the above description. Longevity is excellent. Projection is above average. Bottom accord isn't generic or a filler - smells like it was worked on not shoved in haphazardly. 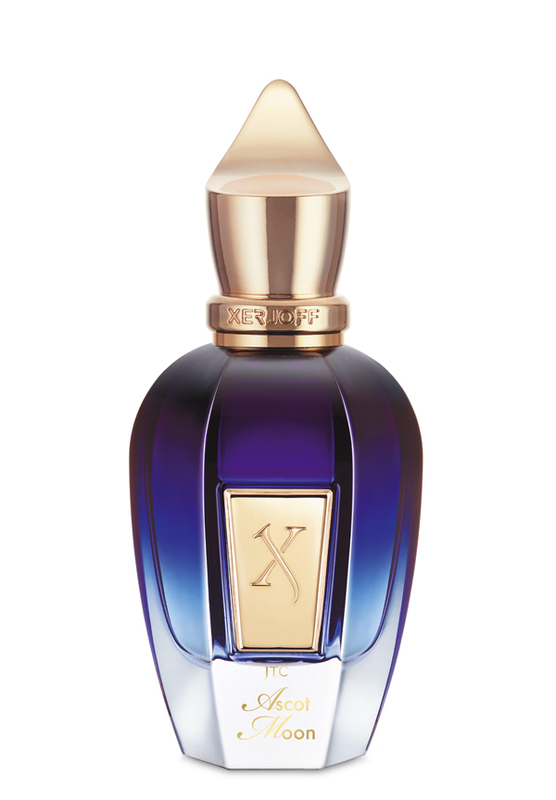 XERJOFF Join the Club More Than Words Eau de Parfum 1,7 fl.oz. There are no member images of Join The Club : Ascot Moon yet. Why not be the first?